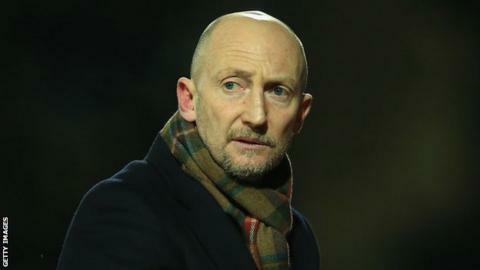 Crystal Palace manager Ian Holloway has urged his side to seize the initiative in the Championship promotion race. The Eagles beat Middlesbrough 4-1 on Saturday but Holloway wants his players to start games stronger. He told BBC Radio 5 live: "I want them to go as if their lives depend on it, right from the kick-off. "I want them to grab the initiative because the strides that this club has made from the end of last season is quite phenomenal." He added: "I want them to take that on board and feel enthusiastic about it. That is key to this run-in. "Who ever relaxes, enjoys their football, believes in themselves and gets on a roll could end up being champions. It ain't all over yet. It really isn't." The victory over Middlesbrough puts Palace fourth in the table, four points behind second-placed Hull, and extends their unbeaten run to three matches. Palace were 1-0 up against Boro within 10 minutes on Saturday but Holloway was slightly disappointed they did not add to their tally before half-time. "What I am trying to get to these boys is the enthusiasm I have got and the way I believe in them," Holloway said. "I want them to start games with that vibe. We got a great goal early on and then we faded away. "We weren't moving it quick enough and didn't have the pace and rhythm I want. "I have got some great players and the team structure is coming. I think we are getting stronger. "But we are wasting too many minutes of too many games. "We have beaten one of our rivals and that is a really important thing to do - now let's see if we get on a decent run and remember how to win games."